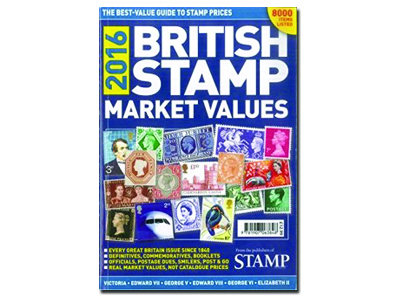 FREE British Stamp Market Values 2016*: British Stamp Market Values gives market prices for all stamps and philatelic products issued in Great Britain since 1840. It includes definitives, commemoratives, miniature sheets, booklets, machine-vended stamps, label sheets, first day covers and presentation packs. With pricing updated every year by specialists in each field, it is the only annual guide which gives realistic market values, rather than the inflated selling prices quoted in the catalogues of some major dealers. Aimed at the general GB collector rather than the specialist, it is also intended to be more clearly laid out, easier to use and cheaper than any comparable guide. 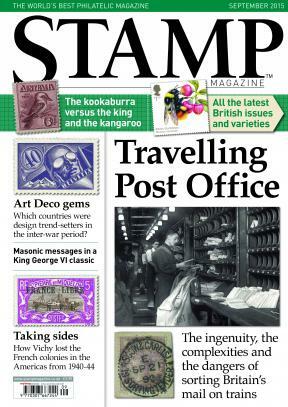 *Free gift with UK ‘Print’ and ‘Print + Digital’ Subscriptions only.